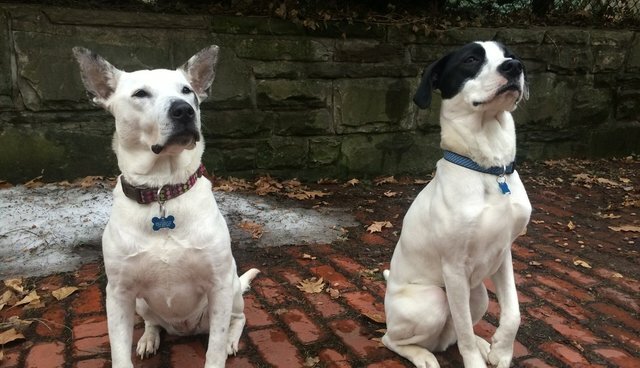 A dog who went missing by the side of the road near Cleveland, Ohio is now home safe and sound, all because of her best friend -- an English pointer mix named Gino. Luci, a three-year-old rescued mutt, was playing outside with Gino when she spotted a deer in the backyard. Both dogs took off running into the woods, but only year-old Gino returned. After owner Genine Apidone spent several hours chasing after Luci in below-freezing temperatures, she decided it was time to bring in the (other) dog. "We spotted [Luci] a couple of times, but she was scared of the cars, so she kept running away from us," Apidone told Cleveland.com. "My friend mentioned that we should involve Gino in trying to catch Luci, since they were so attached to each other." As soon as Gino got involved, Apidone said, she knew she could follow the dog's lead. "There were some tracks in the snow, and he put his nose into them -- sniff, sniff, sniff -- and took off running, pulling me along ... I thought, ‘This dog knows what he is doing. He is on a mission.'" After pulling Apidone along for a half mile, Gino found Luci hiding in the dark -- just ten minutes after he started searching. Seeing the bond between her two dogs, Apidone dropped Gino's leash and let him run over to greet his friend. 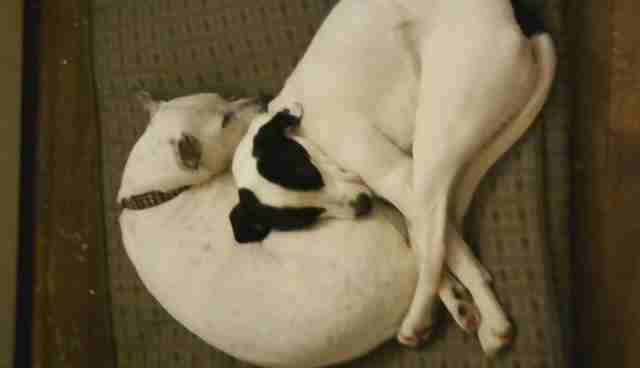 They jumped at each other a few feet away, then returned to their owner's side to head home. "Gino understood what was happening that night," Apidone said. "It was like he was saying, 'I got this,' and I put my trust in him. If it wasn't for Gino, we might have never gotten Luci back home." Photos by Genine Apidone and Jeff Briggs via Cleveland.com.